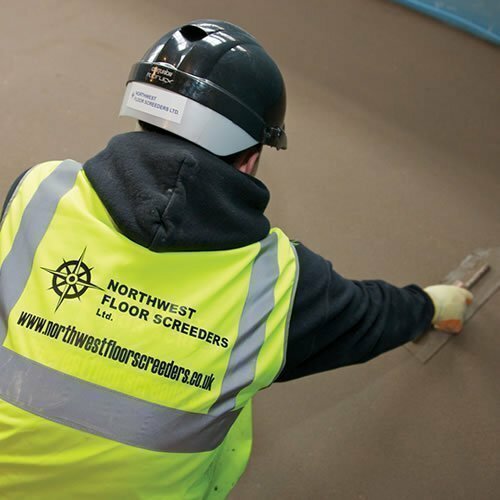 North West Floor Screeders are expertsprofessionalreliable. 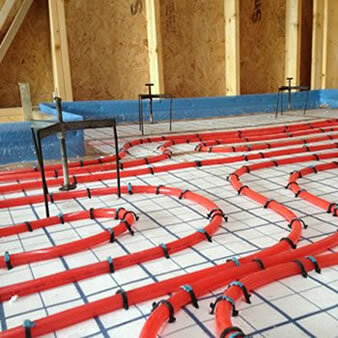 We are a cost effective Floor Screed Contractor and Underfloor Heating Specialist. We will provide you with expert guidance to ensure your project is complete to the highest standard, whilst keeping you in the loop from start to finish! 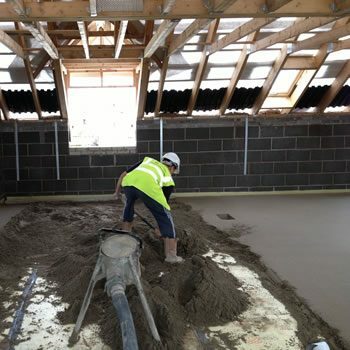 Our tradesman are qualified to NVQ Level 2 in Floor Sceeding with many years of on-site experience under their belt. We understand that everyone needs to work to a budget, so we guarantee a price that is extremely competitive, giving you great value for money. One company. One point of contact. One guarantee. Simple. For a FREE QUOTATION please contact us on 01204 521151 or complete the quick quote form. Our commitment to YOU THE CUSTOMER: From your initial enquiry to the completion of your job we will treat you professionally and with respect, ensuring your job is completed to your satisfaction. 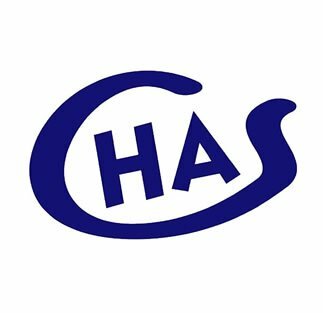 Our customers range from those doing small house extensions through to self-builds and small builders through to large scale commercial projects such as schools and medical centres. We price jobs to suit every budget. 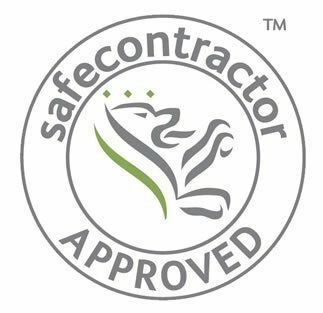 Quality Workmanship & Materials: All our floors are installed to the British Standards, and all our work carries a full guarantee. 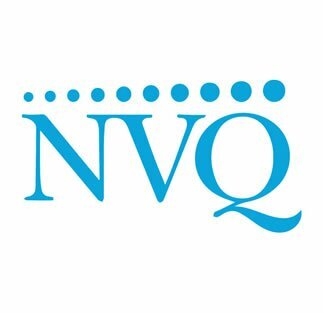 We pride ourselves on delivering the highest standards of workmanship, and our commitment to this is evidenced by our operatives holding the NVQ Level 2 qualification and by the ongoing regular training they receive to ensure their workmanship is impeccable. Our materials are provided by blue chip manufacturers like Tarmac, Marshalls, Lafarge-Tarmac, Aggregate Industries and Cemex. Before we leave site we ask you, our customer, to inspect our work and sign it off as being to your satisfaction and laid to your instruction. Quality Service: We are experts in our field, and we offer advice and guidance on all your flooring matters. 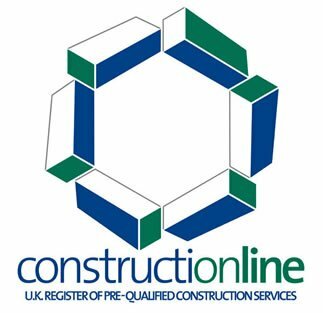 You can call with an enquiry and have a quote within minutes or hours depending on your project size. From a quote to your underfloor heating design our staff offer a quick and reliable service, helping you to meet your project deadlines. 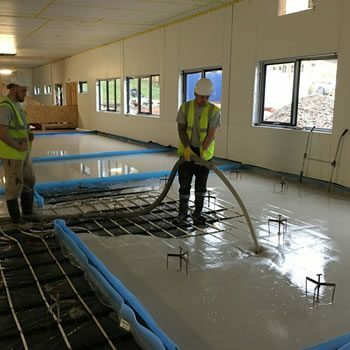 Health and Safety is a major consideration on modern construction sites and North West Floor Screeders takes this very seriously, surpassing its legal obligation to comply with current regulations. Each job has a detailed Health and Safety Risk Assessment and Method Statement, issued to the customer upon request. 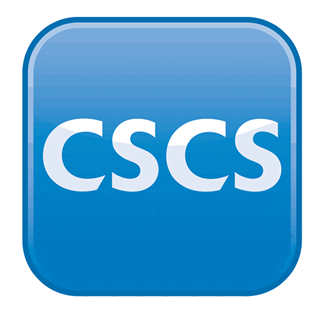 All our operatives carry CSCS cards and several have now taken the modern one day course for Site Safety Plus. This, coupled with regular toolbox talks, means that our operatives are more than capable of meeting their on-site H&S responsibilities. Please look at our gallery for recent projects.